Dr. Ed Nash joined our practice in December of 2017. A buckeye through-and-through, he earned his bachelors, masters and doctorate degrees from the Ohio State University. He is one of five children and is the son of a dentist (Dr. Ed) - who originally practiced for 30 + years in New Lexington, Ohio. Dr. Ed enjoy all facets of dentistry. 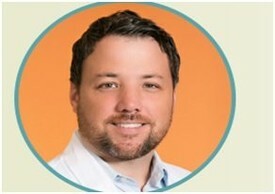 He considers himself a life-long learner and is always exploring newer or better techniques to treat patients. He is particularly interested in oral surgery and endodontics (root canals), however, finds the most satisfaction interacting with patients and staff. Dr. Nash currently resides in Worthington with his wife, Chelsea, son, Eddie, and wiener dog, Hans. He enjoys playing piano, outdoor activities (especially golf), and watching buckeye football and basketball. He prefers to spend most of his free time with his family, siblings, and many nieces and nephews!